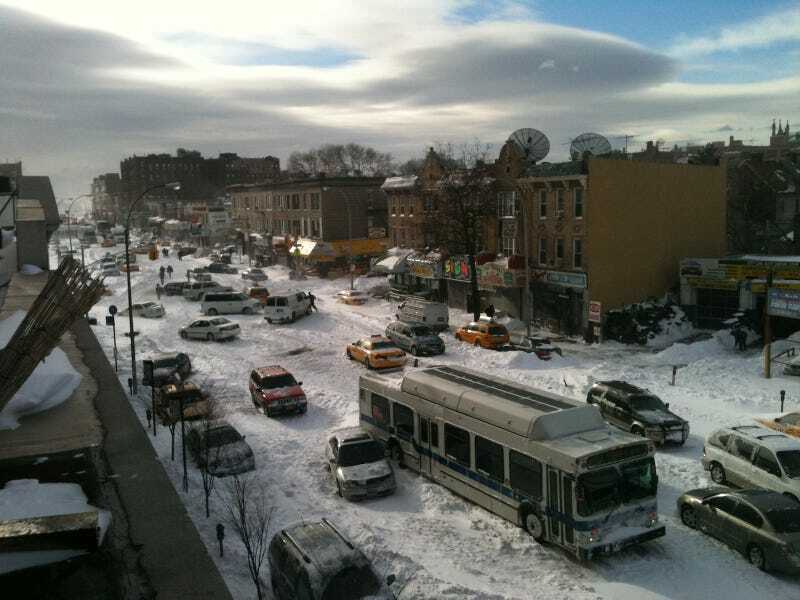 Sure, driving's almost impossible, buses are left for dead, and a limo's blocking an entire street in Brooklyn, but otherwise, you can't deny the iconic post-apocalyptic beauty of a giant New York snow storm. Take a look with us below. We culled the best images from what you, our readers, gave us, along with a bunch off twitter to show you what the Big Apple looks like after the fifth largest snowstorm in the city's history.